Stay on top of docket information! Now you can access court docket information without leaving your desk. Quickly and easily locate the information you need by customizing your search with our options. No need to duplicate searches. Subscribe to a case or a party and we'll do the searching for you. You'll be notified by email when there is new activity. Registration is free. Give it a try today! Here for you when you need us! 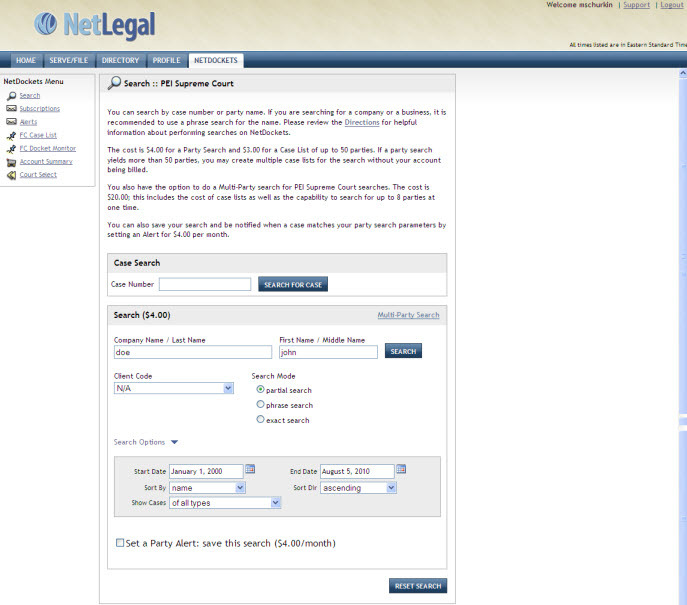 Call or email NetLegal Support to set up a training session. Serve and file documents electronically and securely from any location.